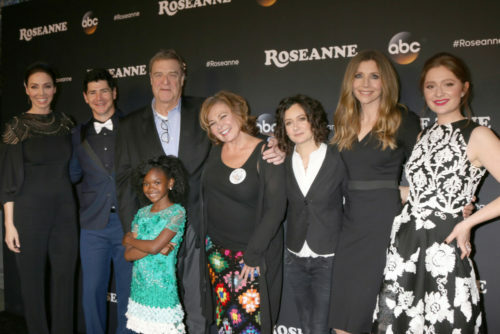 “While I’m extremely disappointed and heartbroken over the dissolution of the original show, she will always be family, and I will always love Roseanne,” Gilbert told the newspaper in response. Throughout the article, Barr paints herself as the victim of a mob gone mad while waffling over whether or not she’s to blame for her own online antics. She admits she’s the “Queen of Trolls” and was warned repeatedly by family, friends, and her employers to tone it down on Twitter. At one point, her youngest son secretly changed her Twitter password to try to stop her. Not knowing he’d done it, Barr claimed at a press conference that she’d been locked out of her account as if it was a conspiracy to silence her. Eventually her son confessed and turned over the password. Also worth noting in the article, while the show’s storyline about Roseanne’s grandson exploring gender was hailed as groundbreaking, the show’s publicist, Kelly Bush Novak, was concerned about Barr’s online comments about transgender people. What the article makes clear is that despite being forced to apologize repeatedly for saying offensive things, making wild accusations, and spreading nonsensical conspiracy theories, Barr has no plans to stop. She worships Donald Trump, thinks the blowback is due to her support for him, and will continue to emulate her idol – disgusting tweets and all.